Great for school field trips, nursery and daycare trips, boys and girls scouts, athletic teams, fraternities or sororities, birthday parties and other groups! Just buy 15 tickets or more to save! Day prices with group rates are $8 per person. It includes; entry in corn maze, pedal cars, farm animals, jumping air attractions, playground area, sports field, and wagon ride. 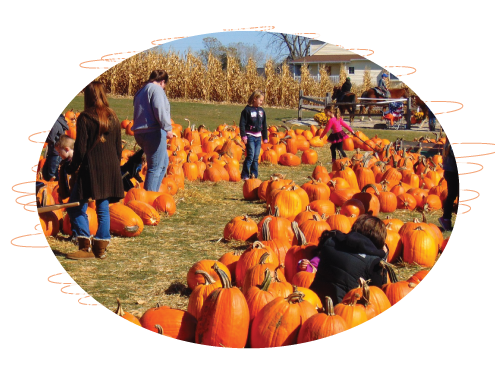 Group rates of 15 or more people at nighttime are $20 per person includes haunted corn maze and haunted hayride. Reserve A Spot For Your Group!